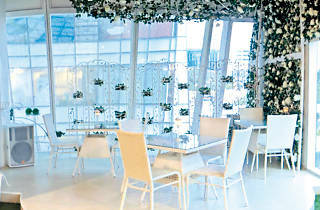 If the Mad Hatter had to find a venue to throw his next tea party at, Bliss House would probably be it. 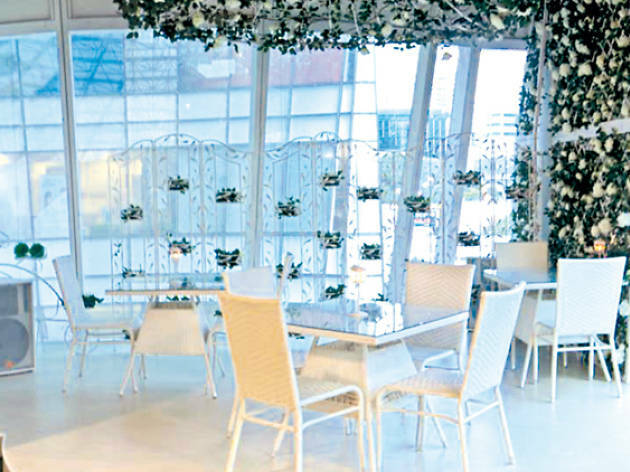 Pristine white walls to match its furniture, fake carpet grass laid out to fit the garden theme and plush velvet couches to kick back as you sip on a cup of peppermint or rose tea ($7.80/pot). There's even a baby grand piano and miniature carriage, to boot. On the menu are standard restaurant fare like pastas, pizzas and meat-heavy dishes like black pepper chicken chop ($16.80) and rendang lamb shank ($28.80). Kids also get to have their pick from the children's menu which features fish and chips ($9.80), and chicken nugget with a side of fries and vegetables ($7.80).